This impressive in the flesh bathroom illuminated mirror has an outer rim of light that also illuminates along the mirror thickness adding to an impressive design feature and upping the percieved quality as well. 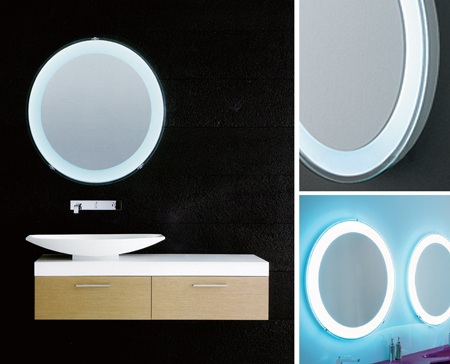 This Italian manufactured illuminated mirror is available as round mirrors and square mirrors to suit different bathroom designs. * High quality Italian mirror light. * Atmospheric soft light halo. * Touch on / off switch. * Square or round mirror. * IP 44 zone 2 bathroom rated.